I've been in a REALLY nerdy joke writing mood lately. If this joke makes no sense to you please read a bit of this Wikipedia article on the logical Exclusive Or. 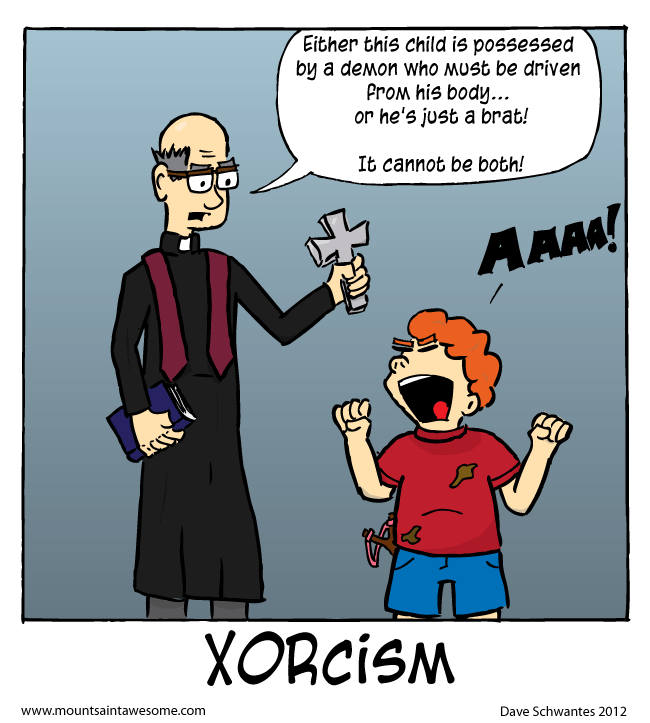 Or if that doesn't interest you read the IMDB about The Exorcist. When you said your comics might be getting too nerdy, I shrugged. Then I read today's comic. Yea, you're getting close. No, it CAN be both! Most of the people I know are both!